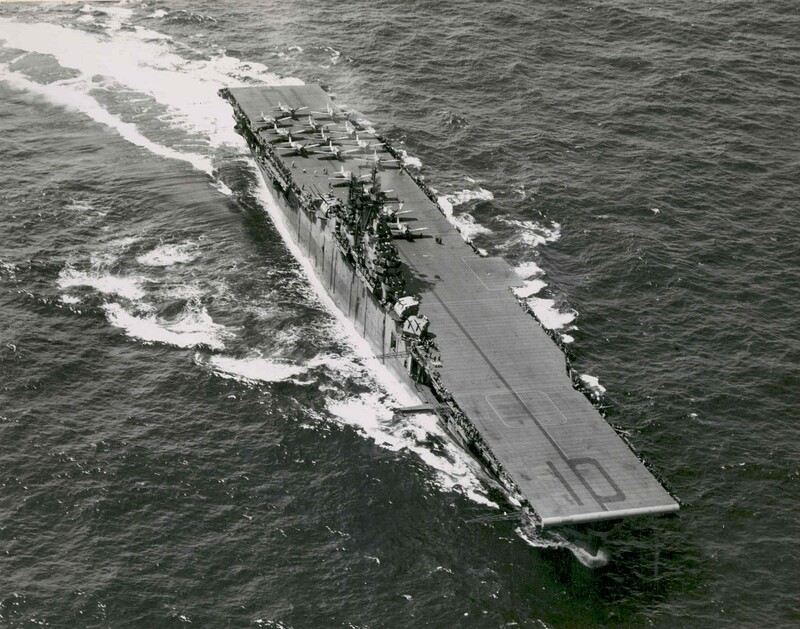 The USS Yorktown (CV-10), also known as "The Fighting Lady," was an aircraft carrier launched on January 3, 1943, named in honor of the USS Yorktown (CV-5) that was sunk at the Battle of Midway. The Yorktown and her crew provided support for battles on the Mariana & Palau Islands, the Philippines, Iwo Jima, & Okinawa, among others. The ship also provided aircraft for targets on the Japanese mainland. Today, the Yorktown sits at Patriots Point in Mt. Pleasant, SC and serves as a museum and event space.